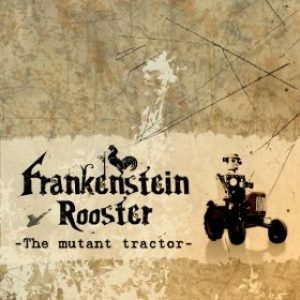 Frankenstein Rooster were founded in 2008 by guitarist Raffaello “Rafahel” Indri (Elvenking, Harduo) and later joined by drummer Camillo Colleluori (Hollow Haze). The main concept of this side-project is the blending of different musical genres: instrumental pieces ranging from funk, jazz, rock and heavy metal are characterized by a lively and engaging sound. 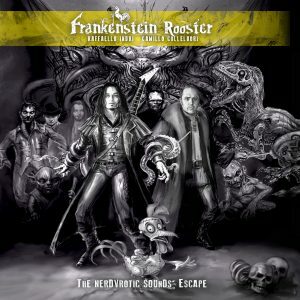 After the critically acclaimed 2009 debut-album ‘The Mutant Tractor’, Frankenstein Rooster now present their second album ‘The Nerdvrotic Sounds’ Escape’. 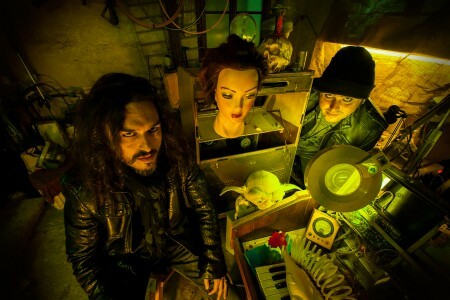 Their new songs still maintain the same inspiration of the early years, but now they are enriched by electronic arrangements and a definitively heavier and more complex sound. Various quotes taken from legendary movies (like ‘Young Frankenstein’ and the ‘Star Wars’ saga) complete this funny, scary and brave musical journey. Pure rockin’ entertainment for listeners!